The criminals behind two spectacular robberies in Cannes and Monaco, worth more than 16 million euros, were about to strike again. Police in Nice arrested eight people last Thursday, four of whom were deported from the Grasse public prosecutor’s office yesterday. The gang of robbers was responsible for the spectacular thefts at Harry Winston Jeweler’s in Cannes on the 18th of January and Cartier in Monaco on the 24th of March. 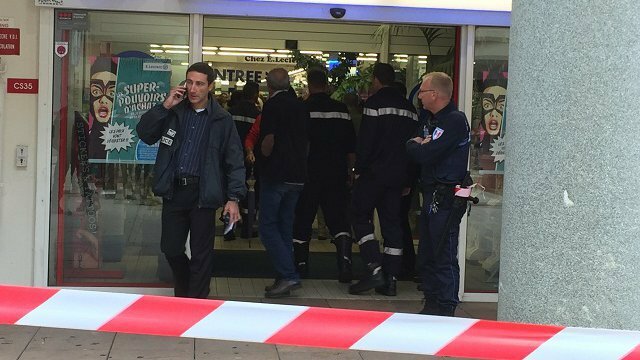 The arrests were mainly carried out in the Hauts-de-Vallauris district (ex-Zaïne), as well as in Cannes and Antibes. An automatic .45 pistol, a GPS tracker, hoods, 500,000 euros in a shoebox in denominations of 200 and 500 euros were also found during the Police search. The four men are between the ages of 21 and 34. They were deported for “conspiracy to commit aggravated theft in organized gangs”. The team was composed, according to a source close to the file, of very seasoned criminals who did not hesitate to recruit small-time helpers. The stolen amounts, worth between 1.2 and 15 million euros have not yet been found. Commissioner Philippe Frizon’s men were able to make progress on the case thanks to their knowledge of the environment. French special units including the Banditry Repression Brigade, the Research and Intervention Brigade and the judicial police’s technical assistance unit were put on the case. After the robbery in Cannes in January, police were interested in potential suspects. Communication surveillance soon paid off, revealing a pyramid organization, with top-tier robbers in the role of sponsors. Below them, a team was in charge of recovering the stolen goods. Finally, small-time criminals “mounted” the robbery. They were paid between 40,000 and 50,000 euros. The jewels were probably quickly resold in Maghreb. At the end of June, the team, tracked by the police, had scouted a jewelry store in Saint-Tropez. But they had given up a car and a motorcycle at the scene before moving in to action. Were they spotted, or did they face another problem? Investigations are still underway. An investigation opened on 19 June for conspiracy quickly led to arrests. “We felt they were ready to strike again,” said a source close to the investigation. They were apparently preparing to “hit” Cannes and Saint-Tropez hard. The series of arrests should put an end to the streak of robberies.